All of us are familiar with the Google's smartphone line up called by the name Nexus. Google only do the marketing of these smartphones and the devices are made up by partening with the OEMs. These OEMs do their branding on these smartphones. 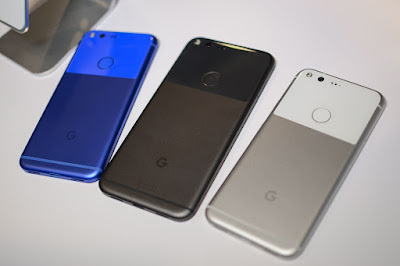 These are known to be Google's flagship devices. 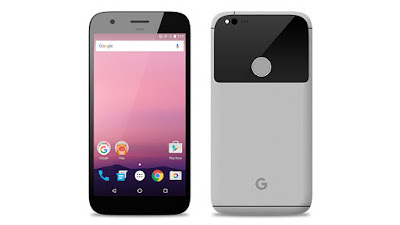 But Google has discontinued their nexus devices this year and introduced a new series called 'Pixel'. In this pixel series Google has done it's own branding. This year the OEM for this pixel device is htc. But Google has designed these new devices itself. Google actually launched two pixel smartphones that are Google pixel and Google pixel xl. Former having screen size of 5.0 inch and the latter having 5.5 inch. Today I will discuss only about Google pixel xl. Google pixel xl has a very unique design. It has a combination of metal and glass design. It's back has a glass window at the upper portion and at lower portion it is made up of metal which gives a typical touch. The glass is protected by gorilla glass protection at back. It has a wedge shaped design that means it is a slightly thicker at the top than at the bottom. On top it has 3.5mm headphone jack and secondary noise cancellation. On front it has secondary camera, earpiece and proximity sensor. At back it has rear camera, dual LED flash, laser autofocus system and third noise cancellation. On bottom it has microphone, USB type C port and single speaker. Although it has this much unique design of glass and metal at it's back, still it fails to impress much audience by it's design. It doesn't mean, this smartphone looks ugly but there are many other smartphones in this price range which looks more attractive than this such as Samsung galaxy s7 edge and apple iPhone 7. 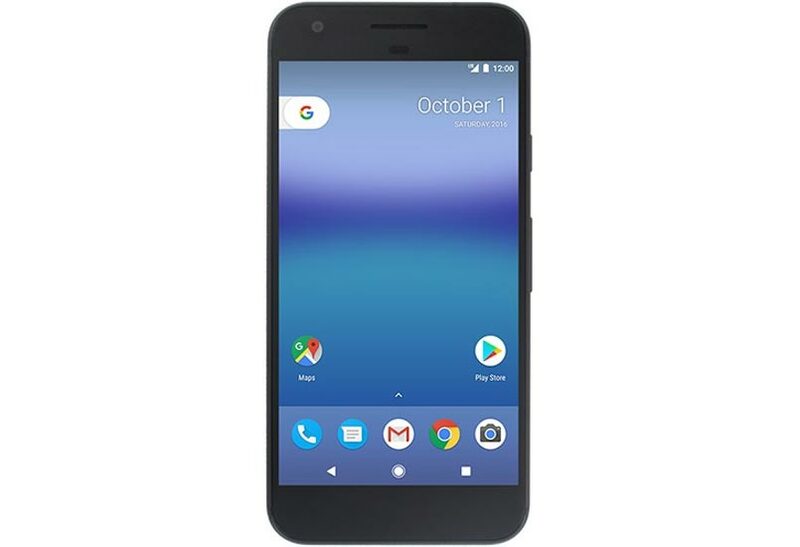 Google pixel xl is somewhat on the bulkier side, we can't use it with single hand. Google pixel xl looks premium but it could be better as seeing it's price. Google pixel xl has 5.5 inch AMOLED display having QHD resolution. The display on Google pixel xl is good. The colors look natural on this device. The viewing angles are also very good. The brightness levels are also nice. The brightness levels are not as good as apple iPhone 7 or Samsung s7 but the screen is still very good. Sunlight visibility is also good on this device, it is clearly visible in direct sunlight. So Google has put a very good display in Google pixel xl. Google pixel xl is powered by Qualcomm snapdragon 821 processor. 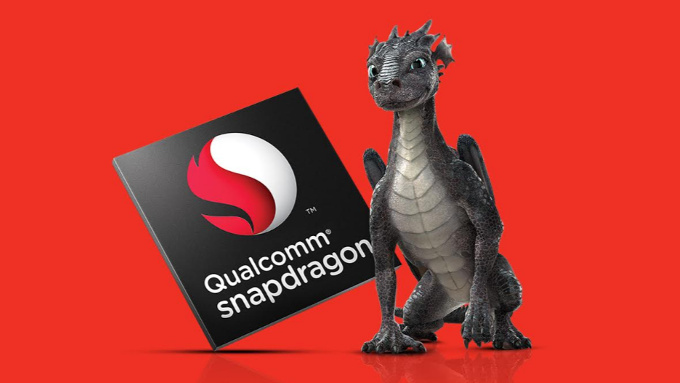 This chipset is Qualcomm's latest flagship chip. Google has actually downgrade the processor cloak speeds. This phone handles all day to day tasks without any issues. It does all the tasks very fastly. 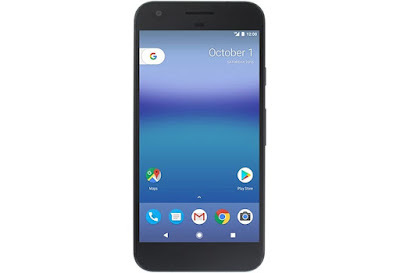 Google pixel xl is among one of the fluid devices available in the market. It also plays all heavy games such as asphalt 8, implosion, nova 3 etc. without any issues. There is no lag or frame drops while playing these games. Also there is no overheating issues while playing games. Google pixel xl has 4GB of ram and the ram management is very good on this device. The multitasking is really smooth on this device. You can jump between different apps without any lags. Primary: The Google pixel xl has a 12.3MP rear camera having aperture of f/2.0. It has dual LED dual tone flash. Google is actually pouting very much about it's camera during the launch event, so let's see it's camera performance. The rear camera performance is very good on Google pixel xl. It's camera fully competes with the iPhone 7 and Samsung s7. 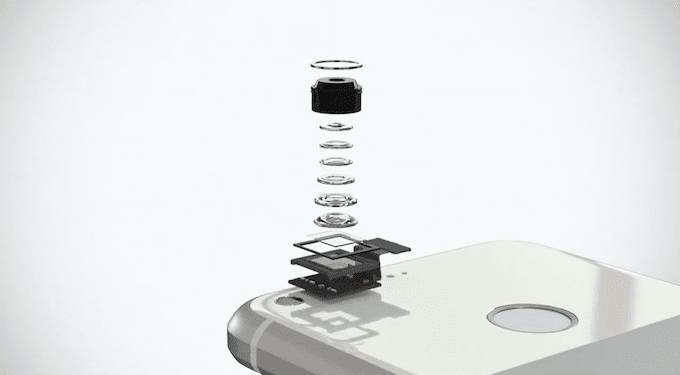 The engineers have developed a new technology for the camera of Google pixel xl. The most amazing feature of it's camera is HDR+ mode. This feature is automatically at auto in this device but we can switch it on or off or kept at auto mode according to our choice. In this mode camera actually captures 9 images in one click and stack these images together to reduce the noise levels. And believe me the shutter speed is really fast in HDR+ mode. It is not like other phones in which shutter speed slows down when HDR mode is on. It captures images as soon as you click the pic. In natural lightening conditions the pictures are really superb. The color reproduction is also really good on this device. The colors are nicely saturated. There is lot of detail in the images. The noise levels are also controlled. In high exposure shots we should always keep HDR+ mode on to have better images. In artificial lightening conditions the pictures are again good. The colors look bright and there is less noise in images. In low lightening conditions the camera as usual performs well. There is noise in the pictures but noise can be reduced by switching on the HDR+ mode. Also the panorama shots are really good. It can record video in many resolutions and frame rates. It can also record slow motion videos. But there is one defect in it's camera. There is a flare of lens in some pics taken. Google knows about this and is saying to fix it with an OTA update. The camera fully competes with the other flagships and in some aspects is better then others but in some aspects lag behind them. Secondary: The secondary camera captures really good selfies. The color tones are good, the picture looks natural. There is lot of detail in the images. In low light we should use HDR+ mode to have less noise levels and to have brighter colors. Google pixel xl is equipped with a single speaker at the bottom. The sound output through this speaker is just average. The speaker is adequately loud to perform day to day tasks without any issue but is not as loud as Samsung galaxy s7 or iPhone 7. The sound output is clear without any disturbance. The media is also enjoyable on this device. The cellular call quality is really good on Google pixel xl. There is no problem while receiving or making calls. The network reception is also good on this device. This device doesn't support VOLTE in India till now, so simply it means that it will not support Reliance jio but may be company will enable this feature in future with an update. 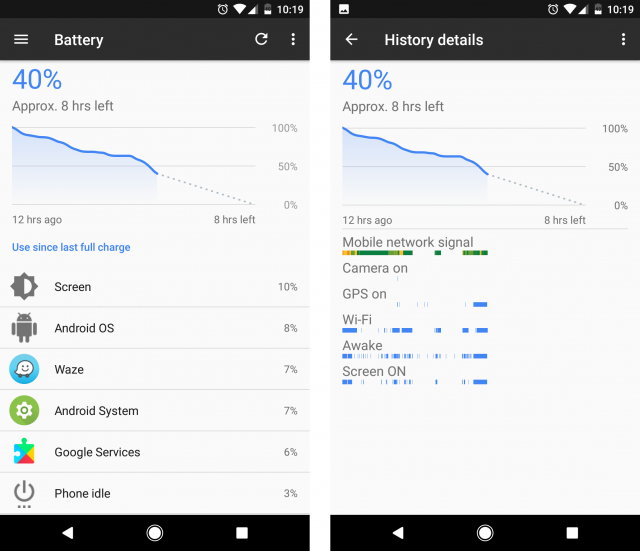 Google pixel xl is equipped with 3450 may battery. The battery life is excellent on this device. We can easily get a screen on time of about 5 to 6 hours with a typical day usage. It's battery can last up for a full day with a single charge. The Google pixel xl comes with quick charging support, but the charging is not that much fast. It takes about 2.5 hours for full charging of battery from 10%. Google pixel comes with many new features. It comes with android's latest version that is android nougat. It comes with new Google's pixel launcher which is only available in this device yet. It comes with Google assistant feature which makes it more valuable. Now this feature is more user friendly and is more responsive. This Google pixel xl has some special features of Google assistant which other android phones will directly miss when they will get google assistant. Google pixel xl has a special functionality, that is when we long press any app it shows more options about that app. In this way we can directly do the task what we want without actually opening the app. So this is new functionality, it acts like 3d touch but Google pixel xl don't support 3d touch. The new pixel launcher only comes in Google pixel xl. The pixel launcher is quite impressive. It doesn't have any app drawer. Most of the apps are rounded now. There is no bloatware on the device. It is also very customizable. Apps are now more rounded. Google pixel xl 32GB version is priced at 67000 INR. At this price I think this phone is overpriced as compared to other devices available in the price segment such as Samsung galaxy s7 edge. It has some features better than s7 edge but also lag behind s7 edge in others. For example camera of Google pixel xl is better but it has very boring design while on the other hand Samsung galaxy s7 edge has very premium design. S7 edge supports fast charging and is also dust/water resistant but Google pixel xl skips the both. And the price of s7 edge is just 50000 INR with micro SD card slot and extra sim slot too. So spending about 16000 INR more just for some new features with some shortcomings too is not a good idea. 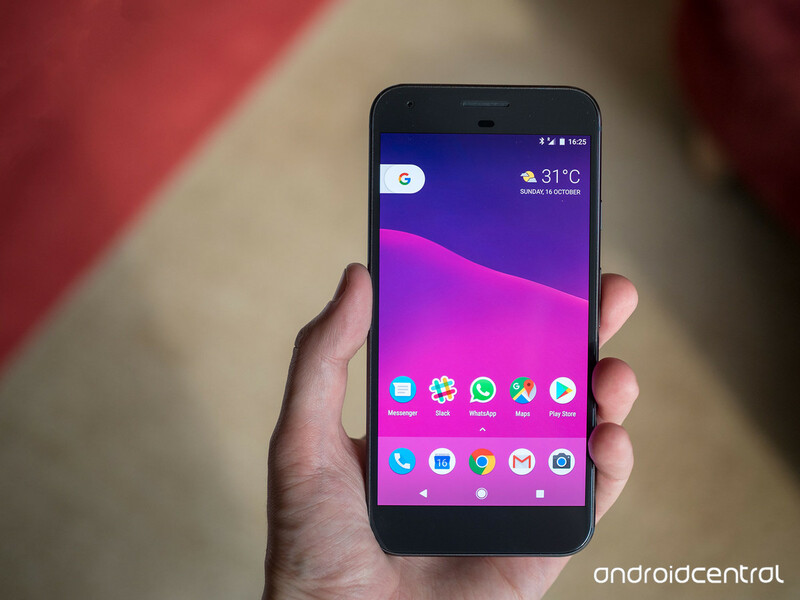 You should go for s7 edge or apple iphone7 even if the price is not an issue for you as Google pixel xl has some good features but it has more shortcomings. You should go for Google pixel xl only if you want to taste latest android experience, faster updates and best camera in this price range otherwise there is no reason to buy it.